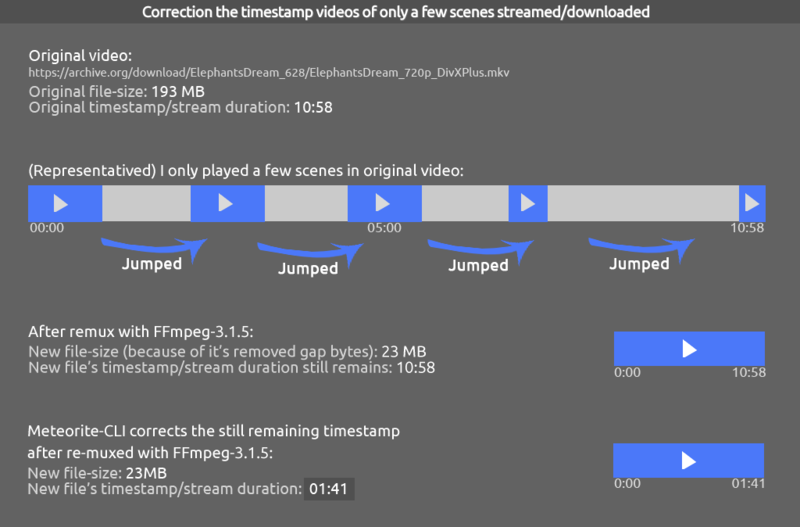 While FFmpeg can reduce the file size to only certain amount of downloaded real data by triming gap bytes in the played audio / video files, The output (remux) file's the timestamp remains same with the original file. 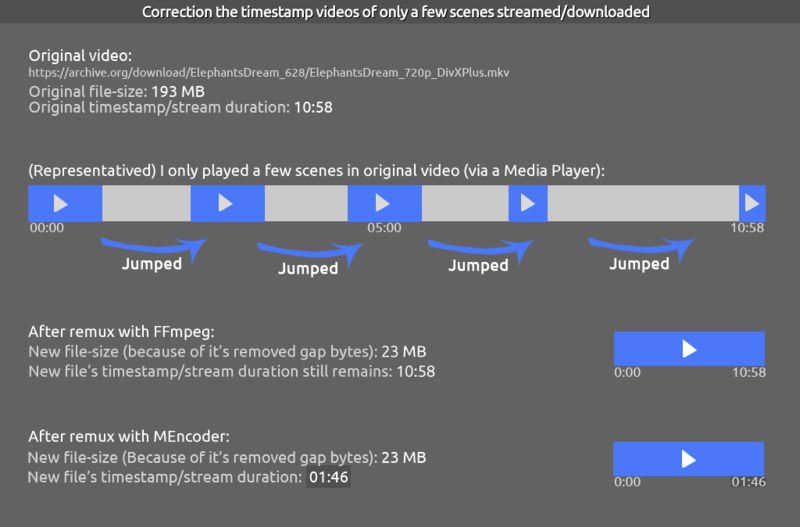 FFmpeg is deprived of timestamp correction but MEncoder isn't. How can MEncoder can manage things while FFMpeg cannot? Also, ​The Meteorite Project (A MKV Repair Engine) software able to correct timestamp. (But Meteorite has its own issue which it has stuck at final stage -99%-. Order to overcome this, it will be necessary to re-mux the sample file with FFmpeg-3.1.5. In later versions of FFmpeg-3.1.5, the Meteorite directly crash without fix to the file). To the best of my knowledge, the input file is invalid and cannot be used to show a missing feature. I present my regards to you and Michael Niedermayer. I admire all your programming skills. All you serve to millions by using your valuable time. The utmost video sites such as Youtube, Vimeo etc. would be having troubles without all you, indeed. I hope all developers can get what they deserve, both materially and morally.